Two casino hotels in Macau that were shut down due to the impact of Typhoon Hato are now taking room reservations for the second half of September. 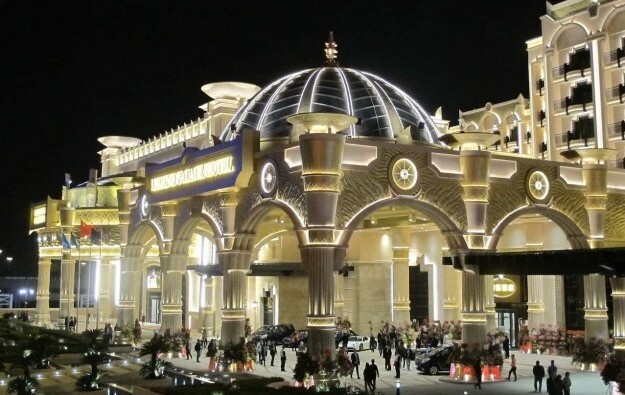 However, neither of them have confirmed to GGRAsia the respective dates for resumption of casino operations. The period immediately before and after China’s National Day on October 1, is considered one of the most commercially important times of the year for Macau casino and hotel operators in terms of visitor numbers and revenue. On Thursday the official website of Legend Palace still had posted a notice regarding temporary closure of the hotel, but the room reservation page showed accommodation available as early as September 18. Macau Legend confirmed to GGRAsia via a public relations agency that the hotel operations of Legend Palace would resume on September 18. Nevertheless, GGRAsia was unable to confirm with the company the reopening date of the casino in the property. On Wednesday the official website of Broadway Macau – a property of Macau casino operator Galaxy Entertainment Group Ltd on Cotai that was also temporarily closed in the aftermath of Typhoon Hato – indicated the venue’s hotel rooms were available for booking starting from September 25. The site did not mention the status of the casino inside Broadway Macau. GGRAsia emailed Galaxy Entertainment seeking confirmation of the reopening date for Broadway Macau’s hotel and its casino, but had not received a response by the time this story went online. In an emailed reply to GGRAsia on Wednesday, concerning the status of casino operations at, respectively, Legend Palace and Broadway Macau, the city’s casino regulator, the Gaming Inspection and Coordination Bureau, stated that the bureau “did not receive any official letter from the respective gaming concessionaires requesting the resumption of operations of the casinos”. The day after the typhoon, the Macao Government Tourism Office had reported that nearly half of the 64 Macau hotels it had canvassed were without either power or water or both utilities. Some gaming resorts also reported having to suspend their operations following the storm. While most of them were functioning within days, Broadway Macau and Legend Palace had remained shut to the public.